I have completed 6 weeks on the Nutrisystem program, and am happy to say that the results have been better than I anticipated. I truly went into this program without much optimism, because I have not had much luck losing weight in the past. So far using the Nutrisystem program I have lost 7 lbs, and am only 3 lbs away from earning a Nutribear! 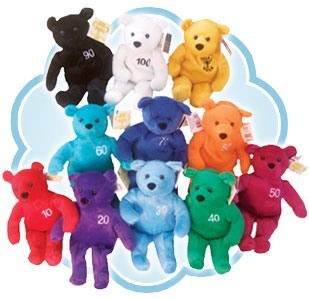 Nutribears are fun little stuffed bears sent to commemorate and celebrate weight loss milestones on the Nutrisystem plans. They are a fun reward and a little extra motivation. Every ten pounds that you lose is marked with a Nutribear being sent to you. I can’t wait to get my first bear, and I am almost there! This week I did not lose any weight, but I didn’t gain any either so that is good! I know there will be weeks where I remain constant, and all I can do is keep working toward my overall goal of losing 20 lbs. I cannot believe I am almost half-way there already! Just a few more pounds and I will be half way to my goal, and have a Nutribear! Find great prom dresses at JJ’s House!